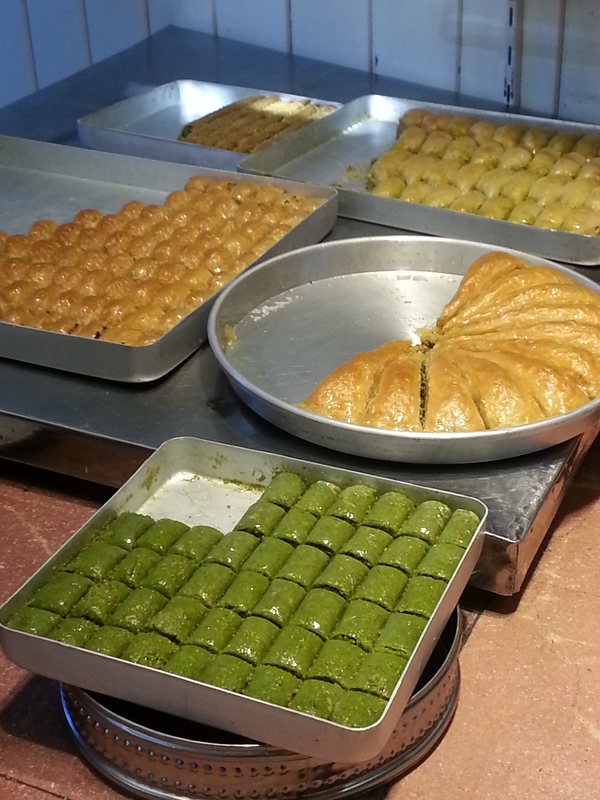 Gastronomy in Gaziantep… and everywhere! Gaziantep, in South East Turkey, is known across Turkey for its pistachios and for making possibly the world’s best baklava. I did not need a second invitation to head here! Gazantiep’s breakfast favourite “Beyran” – meat and rice in a spicy garlicky soup – accompanied by the usuals, flat bread, “Ayran” (yogurt drink), greens and lemon! Everything cooked fresh before your eyes! 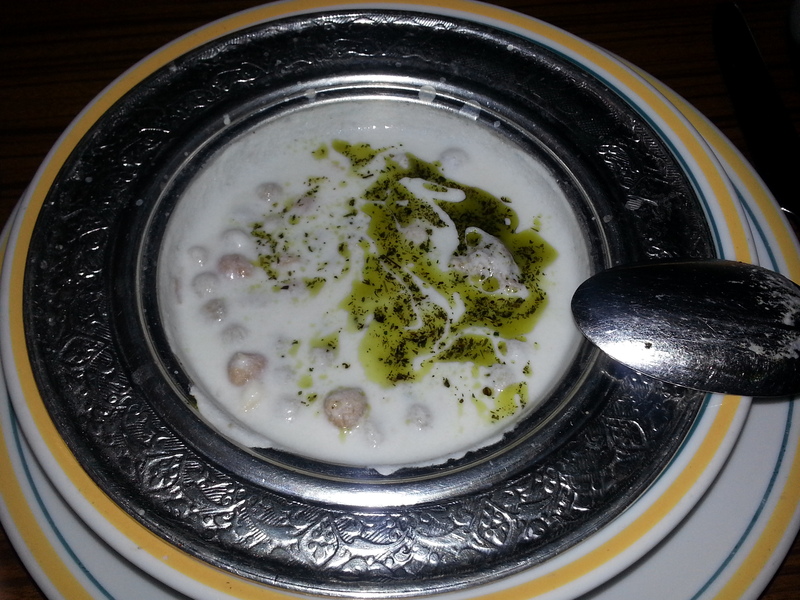 Ali Nazik – kebap on a base of mashed eggplant and yogurt – delish!! 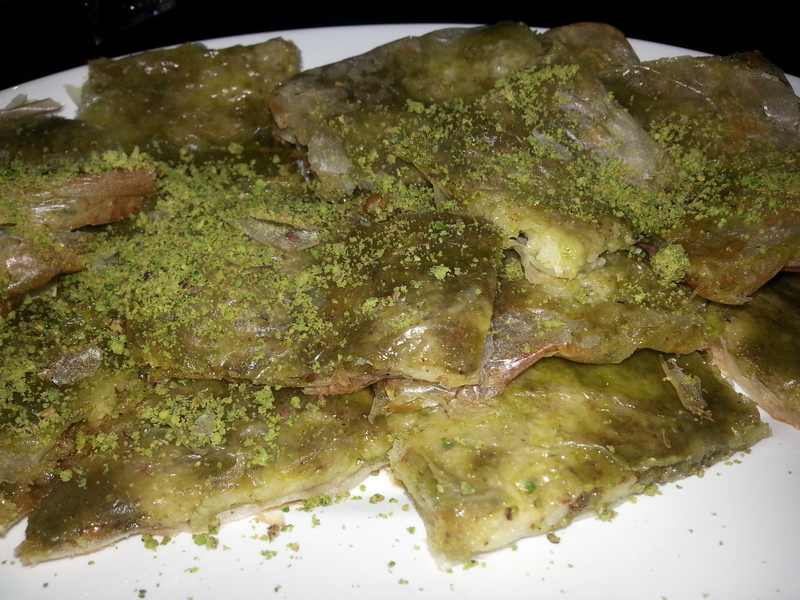 Katmer for breakfast on day two – flatbread layered with nuts and clotted cream. I think we better walk to the bus station today! 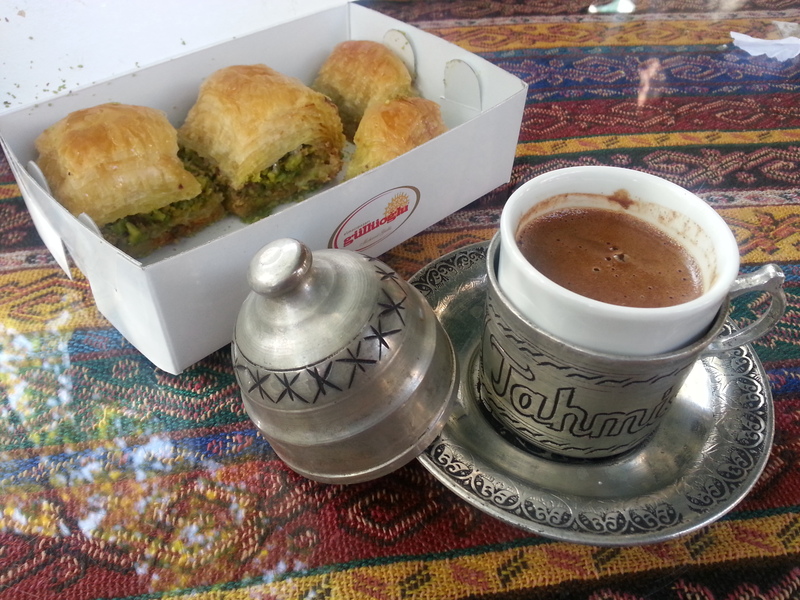 This entry was posted in Food, Travels in the World, Turkey and tagged Baklava, Food, Gaziantep, Pistachio, South West Turkey, Turkish Cuisine, Turkish Delight. Bookmark the permalink. 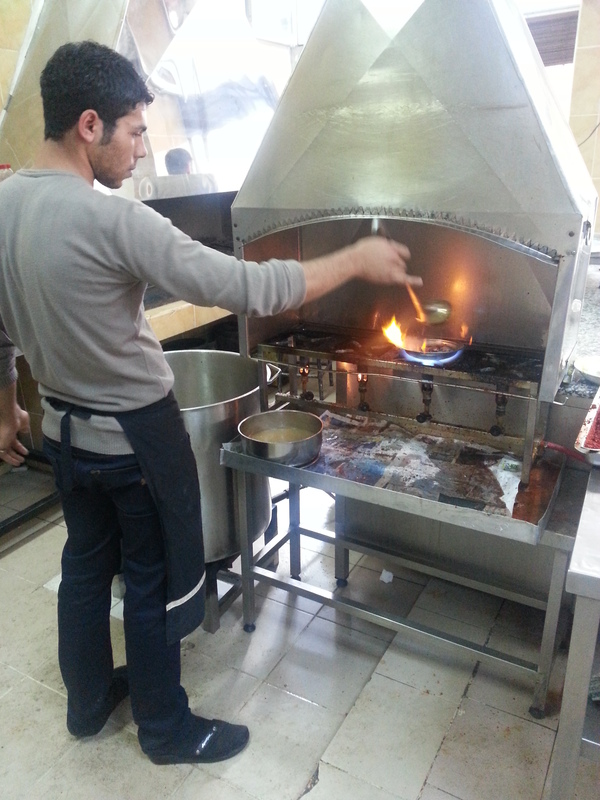 4 Responses to Gastronomy in Gaziantep… and everywhere! Oh, I used to live in Turkey and I haven’t been back for years. Your gorgeous photos are LITERALLY making me drool!!!! Hi Veronica – Thanks for your message. The food here is certainly amazing – I really had no idea that Turkey had such a hidden secret! I must admit that Sicily is also on my must-see list so I was really interested to read your blog – and about the evil eye, and your book!! I bet the food there is pretty spectacular too – when you are not locked out of home?! 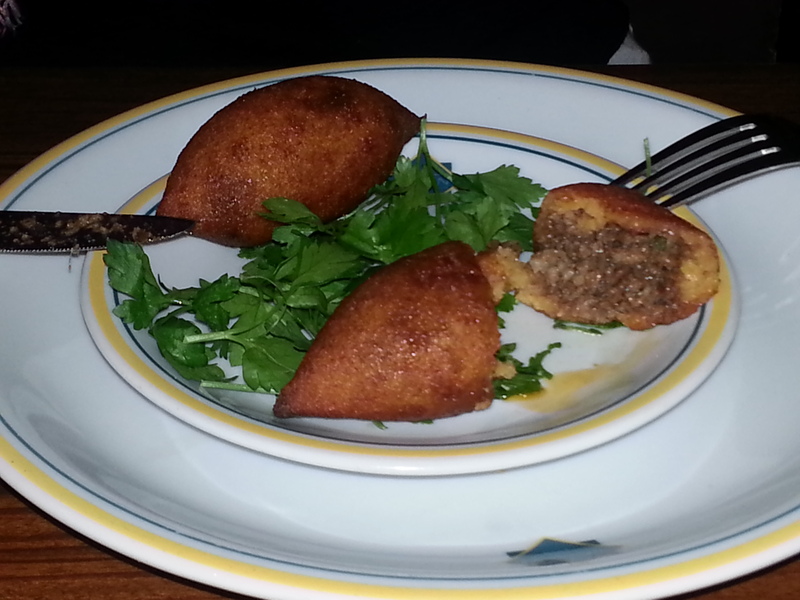 Yes, Sicilian food is absolutely stunning. It has influences from Europe, the Middle East and North Africa and the local crops are so exotic! Definitely not to be missed!